Kids have their whole futures ahead of them, and we want them to have healthy teeth! Don’t fall into the trap of assuming your child’s baby teeth don’t need care, or that their new teeth can be left alone. Your child is in a key part of life where a lot of learning happens, and impressing the value of proper dental care is a gift they will use for the rest of their life. We fully understand that, even if we do everything we can to make things pleasant, your child may find dental treatment upsetting. This is especially true if we have to perform anything more in-depth than a simple cleaning. If a child needs a filling or nerve treatment, we are prepared to make the experience as gentle as possible. We not only employ local anesthetics to eliminate discomfort, we can use nitrous oxide to reduce anxiety and increase relaxation. This is what gentle dentistry is about, and this is what our dental practice in Longmont strives to achieve: a better dental care experience for all our patients, regardless of age! Nitrous oxide, or laughing gas, is completely safe and is used every day for patients of all ages. It takes effect almost immediately and wears off almost as fast, which makes it a great solution. Cavities can be pretty common in kids, who love candy and don’t necessarily have the discipline to keep up with thorough brushing. We can easily fill cavities for your child, employing a local anesthetic and even the nitrous oxide we mentioned above to keep the experience as gentle as possible. 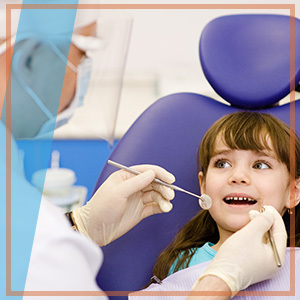 For many kids, dental fillings can be an important element of their overall dental health. If your child’s teeth suffer damage that prevents them from being able to chew well, we can use baby tooth crowns to fix the issue and return your child’s comfort. These small caps can be removed if that is required later. It is worth installing them if tooth damage is creating serious problems for your child. 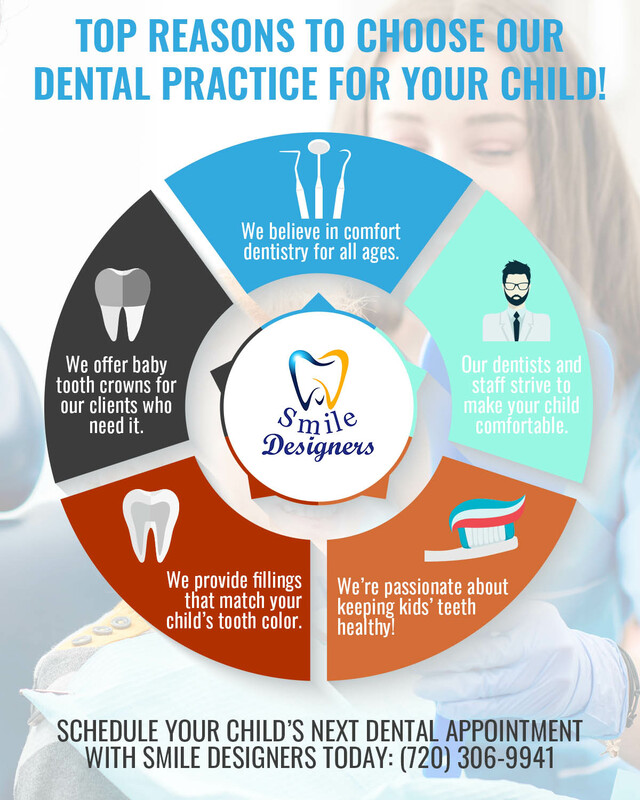 At Smile Designers, we are passionate about creating a fantastic dental experience for kids. In fact, we believe in gentle dentistry for the whole family. Contact us in Longmont for an appointment today!